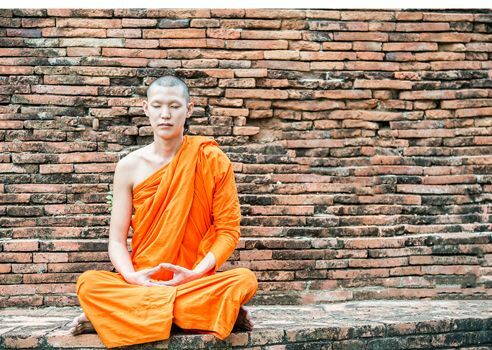 Some people think meditation should be reserved for monks and hippies. I disagree. Many business people are starting to meditate and I’m a big believer in meditation for writers. Many years ago, when my kids were young, I took a course in meditation. Each Monday night I headed out the door, yoga mat in hand, and walked the three blocks to my class. When I returned home I was so blissfully calm that even my young children noticed. “Why don’t you take a meditation class again?” they asked — somewhat ingenuously, I thought. I didn’t, sadly, because I didn’t have the time. If only I’d known how much time meditation would give back to me. I’ve written about meditation before but I’m doing it again today because I’m newly convinced about the difference it can make for writers. I tried to find a list of well-known writers who meditate that I could share with you. The only one I know is Natalie Goldberg. But, in case this makes a difference, there are a lot of famous people who meditate. They include Paul McCartney (48 years), Leonard Cohen (45 years), Richard Gere (40+ years), Sting (25 years), Hugh Jackman (20 years), Angelina Jolie (13 years), and Oprah Winfrey (four years). The late Steve Jobs was also a big meditator. The same reasons that make meditation useful for business leaders, singers and performers I think, also make it effective for writers. Ease your anxiety: many people are nervous and fearful about writing. The experience of meditating teaches you to separate yourself from your feelings. One of the things you learn is that you are not what you think and feel. Instead you are soul inhabiting the body that’s having those thoughts and emotions. Shut out your distractions: by teaching yourself to focus only on your breathing, you learn that it’s possible not to pay attention to the thoughts running constantly through your mind. This type of training is extremely useful for writers. It teaches you to tune out the outside world (emails, interesting conversations around the water cooler, phone calls), and focus instead on your writing. Quiet your inner editor: many writers are undone by the constant chatter of their own inner editors — the voice that says, your boss is going to hate this, your readers are going to find this boing. Meditating teaches you how to stop paying attention to that voice inside your own head. Not forever, of course. Just for a little while, so you can produce your crappy first draft. Writing without letting the inner editor take charge is frightening to many people but it’s the most effective way to approach the writing process. Give you some detachment: most of us who write tend to get caught up in the process of worrying about publication. Will my boss like this piece? What about my editor? What about the readers? These worries and concerns can drag us off track and keep us inappropriately busy when we should simply be writing. The process of meditating teaches us to be detached from our own thoughts and worries. Prepares you for insights: when we meditate we “let go” of our concerns for quality and accomplishment. Instead, we become satisfied with simply meeting the quota: meditating for X number of minutes. Ironically, when we have let go of concerns for quality, that’s when our most original and interesting ideas are likely to emerge. There’s plenty of science behind meditation, some of it of the gold-standard randomized controlled trial variety. But many people don’t meditate because they believe they don’t have the time. I know this stopped me for many years. I began again about a year and half ago. Why? It was after reading the terrific book, 10% Happier: How I Tamed the Voice in My Head, Reduced Stress Without Losing My Edge, and Found Self-Help That Actually Works by Dan Harris. I instantly decided that meditation was important to my life and I knew I had to make it a priority. That’s why I meditate first thing every morning. My goal? I aim for 10 minutes (and am constantly trying to get 20). But if something happens — for example, if I have an early morning meeting that requires me to be downtown by 7 am — I’ll settle for five. I know that maintaining the habit is far more important than how much time I put in. I am not fastidious about the position I take. I know that some meditators believe it’s important to sit upright and cross-legged. That’s way too hard on my back (I have chronic back pain.) So, instead, I lie down, with a blanket on top of me when it’s cold. I set my cell phone timer for 20 minutes and a pleasant ding to sound when the time is up. Here’s what I do while I’m lying there: I focus on my breathing. Several years ago a client of mine taught me 7-11 breathing, which I still use to this day (thanks Joseph!) If you’d like to give it a try, breathe in for a count to seven. Focus on belly breathing first (your abdomen should rise before your chest does) and breathe as slowly as you can manage. If thoughts occur to you as you are breathing, don’t worry about them. Instead, consider them as a movie that might be playing in the background. Don’t give them the attention they don’t deserve! When you have breathed in for seven, then breathe out for a count of 11. Again if thoughts arise — and trust me, they will — let them do their thing but don’t give them your attention. Simply observe them rather than engage with them. As you meditate you may start to notice an itch somewhere on your body (in my case, it’s always my nose.) Try to ignore it and not scratch it. This is part of the practice that will really help you with detachment in shutting out distractions. And my number one piece of advice? For a long time I was greatly concerned about whether I was doing meditation “right.” Now, I just do it. Don’t get yourself caught in the slipstream of perfectionism. Meditating will get easier over time. That’s all. Meditating is both one of the simplest things you could hope to do and also one of the most difficult. But, more importantly, it’s incredibly rewarding for writers. Have you ever meditated? We can all learn from each other so, please, share your thoughts with my readers and me in the “comments” section below. Anyone who comments on today’s post (or any others) by Nov. 30/15 will be put in a draw for a copy of Two Awesome Hours by Josh Davis. Please, scroll down to the comments, directly underneath the “related posts” links, below.